At a young age, Monté Autry was in his family’s rural North Carolina kitchen alongside his grandpa and mom every day, watching and helping them cook. Especially on Sundays. Autry caught the cooking bug early and has long dreamed about creating meals for others. One day, he opened up about his dream with Dupaco staff. Autry shared his idea to start a catering business to bring the soul-food cooking of his childhood to his new home in Iowa. Dupaco’s John Heavens listened—and provided Autry with a loan to do just that. “There was something about John and hearing him say, ‘I believe in you.’ That’s all I ever needed was somebody to believe in me,” Autry says. 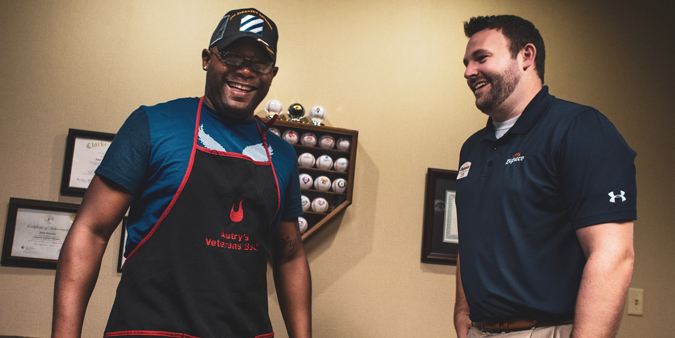 This spring, Autry used the loan to purchase a meat smoker and launch Autry’s Veterans BBQ and Catering Service, a mobile catering business in Cedar Rapids. He prepares everything from ribs to Caribbean jerk wings to homemade macaroni and cheese. 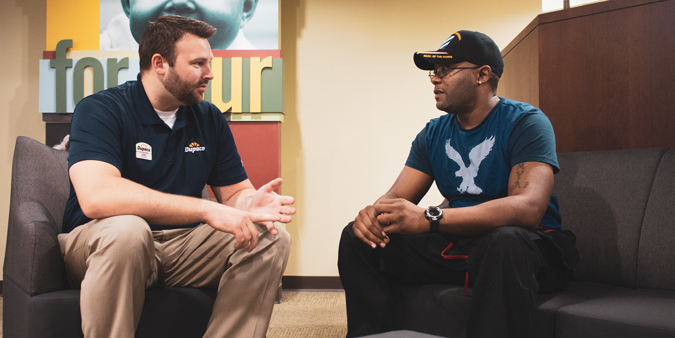 Autry, a single father and U.S. Army veteran, says business has been slow but steady. In time, he would love to open a food truck and, eventually, a small restaurant in the Cedar Rapids area. Dupaco also is helping Autry in his personal life. He’s been steadily building his credit, which has helped him get into a lower-rate car loan and is setting him on a path to homeownership down the road. Dupaco gave Autry a shot, and he wanted to thank his credit union the best way he knew how. In June, he arrived at his local branch with several trays of homecooked Southern food.